On Friday, June 27, the Oxford Police Department arrested Shatoya Martin (22 Oxford, MS.) for embezzlement. On June 27, the police department received a call to the Mobil Gas Station on University Avenue about an employee who was taking money from the store. Upon further investigation, documentations were given to the us showing that Martin was doing returns on several different items throughout the store from June 2 to June 20. After doing the returns, Martin would then keep the money. She took approximately $1,050.00. Martin was given a bond of $5,000. On Thursday, June 23, Authur Carrothers(54 Oxford, MS) was arrested by the Oxford Police Department for burglary of the public library. On 06-19-2016, the Oxford Police Department received a call to the Lafayette-Oxford Public Library in reference to a burglary that had already occurred. Investigators later retrieved video from the library when the burglary occurred. Pictures of the suspect was placed on the Oxford Police Department Facebook page. Carrothers turned himself in and confessed to breaking into the library. Carrothers was arrested for burglary and was given a bond of $10,000. On June 20, 2016 Investigators of the Oxford Police Department arrested James Mathis (54 of Oxford) with one count of burglary. James Mathis was charged with burglary of a dwelling on Johnson Avenue Extended that occurred on June 2, 2016. Mathis was stopped by an Investigator that saw him walking from that area while carrying a garbage bag full of something. When the Investigator spoke with Mathis, he gave consent to check the bag. During the search items that were stolen from Johnson Avenue were found in the bag. James Mathis’ bond was set at $2,500.00. No Seat Belt, No Liability Insurance, Suspended D.L. Suspended D.L. Implied Consent, Careless Driving, No Ins. Disturbing the Peace, DUI 1st, Suspended D.L. Ran Stop Sign, Suspended D.L. Oxford Police Department Arrest Log for June 17, 2016. On June 15, 2016, Investigators with the Oxford Police Department arrested Daniel Gates of Oxford, MS (22 of Oxford) for two counts of residential burglary (97-17-23) that occurred in the Grand Oaks Subdivision on May 20, 2016. Gates was given a bond of $20,000. Yesterday Chief East presented Officer Hardin and Gill with letters of commendation for their efforts in catching two burglars two weeks ago. These officers efforts were what broke the cases open and gave us the ability to solve so many burglaries. These officers responded to Access Road for a report of an auto burglary that was in progress. By the time they made it to the scene the burglars were gone. Officer Hardin began searching the surrounding areas and found one individual walking and he was able to stop and detain him, he was later identified as one of the suspects. While doing so Officer Gill stayed near the location of the reported burglary. One of the suspects dropped his phone as he ran away and Officer Gill waited to see if he would return…and he did. Officer Gill got into a short foot chase with the suspect and caught him. Both men were arrested, interviewed and after evidence was processed Detectives were able to begin making more cases. It was a job well done by two officers with less than a years’ experience. On Monday, June 13, 2016 Investigators of the Oxford Police Department charged Tiffany Herron (20) of Oxford, MS with Possession of Stolen Property. Tiffany Herron was involved in a private property wreck. When officers arrived to investigate the wreck, it was discovered that her vehicle was reported stolen. The vehicle was reported stolen by the Memphis Police Department. While investigating the wreck officers found that the car did not match the tag. If was determined that the tag was switched from another car and when officers ran the VIN if came back stolen. Herron stated she got the car from someone in Memphis. Herron was charged with switched tag and possession of stolen property, her bond was set at $15,000.00. On June 11th officers of the Oxford Police Department responded to an armed robbery in the Saddle Creek subdivision that had just occurred. The victims stated that several armed black males came in the residence with guns and masks on and robbed them. When the suspects entered the home they held the resident at gunpoint and assaulted him. They kept him there while they made his girlfriend completely undress, she was not assaulted. While inside they stole the residents wallet, iphone and a pistol. Officers began searching the surrounding areas and were able to locate a vehicle that was occupied by several males. Officers stopped and interviewed them. While speaking with them they got permission to search and located the weapons, masks, and the victims property. The suspects were identified as Ramarion Gordon 20 of Oxford, Yancy Gordon 20 of Sunflower, MS, Roderick Brooks 22 of Sunflower, MS and LePatrick Schafer 21 of Sunflower, MS. They were taken before Judge Johnny McLarty for their Initial Appearance and their bond was set at $100,000.00. On Thursday, June 9, 2016 Investigators of the Oxford Police Department arrested Samuel Peeler (19) of Oxford, MS with one count of Burglary of a Dwelling (97-17-23) to an apartment in Highland Square. Peeler was identified after the victims were able to identify Peeler’s vehicle leaving the complex the day of the burglary. All the stolen property was returned. Peeler was booked and his bond was set at $5,000.00. On 13 June 2016, Investigators arrested Darren Toles 19 from Oxford, who has been linked to the Nottinghill vehicle and residential burglary that we released yesterday. Toles was taken before a judge and given a $10,000 bond. We have also arrested 11 juveniles over the last week and all the cases are Auto and House Burglaries between 5/18/2016 to 6/9/2016. On Thursday, June 9, the Oxford Police Department arrested Brandon Slate(18 Oxford, MS.) and Khivante Brannon (18 of Oxford) for 3 counts of residential burglary and 1 count of auto burglary on both men. On May 18, 2016, the police department received a call of suspicious activity and people running from houses in the Grand Oaks subdivision after someone walked outside with their dog. It was later found that two houses had been broken into. There were also several other houses with windows broken out but no entry was made into the residence. On May 24, 2016, the police department received a call in the Notting Hill subdivision about a house burglary and auto burglary. Items from Notting Hill and Grand Oaks were later found near Brittany Woods in a wooded area. Later in the week more cars were broken into on Access Road. During those break-ins officers responded and got in a foot chase with 2 suspects. Both suspects were caught and through the investigation Slate and Brannon was found to be involved with these burglaries along with other individuals. Slate also has a Grand Larceny charge from Huddle House where he stole someone Ipad from the business. Slate and Brannon were given a bond of $20,000.00. This past weekend members of the Oxford Police Department competed in the 16th Annual National LawFit Challenge. Members of the team competed in 6 events over 3 days in Pearl, MS. There were over 130 competitors and 28 agencies represented from as far north as Rhode Island and New Jersey. Events included max effort bench press, 1.5 mile run, 1 minute sit-up test, stretch & reach, max effort pull-ups & o-course. After the events concluded the team finished with a 4th place finish and team member Wess Denton won the sit-up event and broke the national record in doing so. Members from left to right are Corporal Matt Samuels, Corporal Ben Hamilton, Corporal Wess Denton, Major Jeff McCutchen, and Officer Diarra Giddens. Note: No Oxford Police reports were filed with TLV between June 9 and June 10, 2016. On Sunday 05 June 2016, Officers responded to 507 Webb Street in reference to an auto burglary. The victim reported that someone stole a golf bag with golf clubs and sunglasses inside of it. During this time the Lafayette County Sheriff’s Department was also working two similar burglary cases. Both agencies were able to identify Gatlin as their suspect and when he was found he was in possession of the golf bag, golf clubs, and sunglasses belonging to our victim. Gatlin has been charged and was given a bond of $10,000. On May 26th Officers of the Oxford Police Department took a report of an embezzlement that started around February 28th 2016. The victim stated that employee, William Hammond (23 of Oxford), embezzled around $4,275.00 from Habits Tobacco. On June 3rd Hammond was arrested for Embezzlement. Hammond was taken before Judge Carolyn Bell for his Initial Appearance and his bond was set at $5,000.00. On Monday, June 6, 2016 Investigators of the Oxford Police Department arrested Pashay Alston (23) Covington, TN for Grand Larceny. Pashay Alston and two friends were entertainers at a house party and the trio of friends left and took a laptop and sunglasses. The two friends are still at large but warrants have been issued against them. Pashay Alston was booked for Grand Larceny (97-17-41) and her bond was set at $2,500.00. 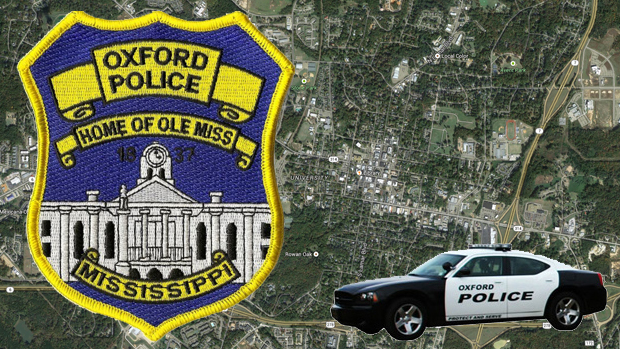 On February 25th Officers of the Oxford Police Department took a report of a residential burglary at Faulkner Flats that had already occurred. The victim was missing a firearm. Upon investigation, it was found that Bryan Disangro (35 of Oxford) stole the firearm. On June 1st Disangro was arrested for Burglary – Breaking and Entering Dwelling House or Inner Door of Dwelling. Disangro was taken before Judge Mickey Avent for his Initial Appearance and his bond was set at $10,000.00. 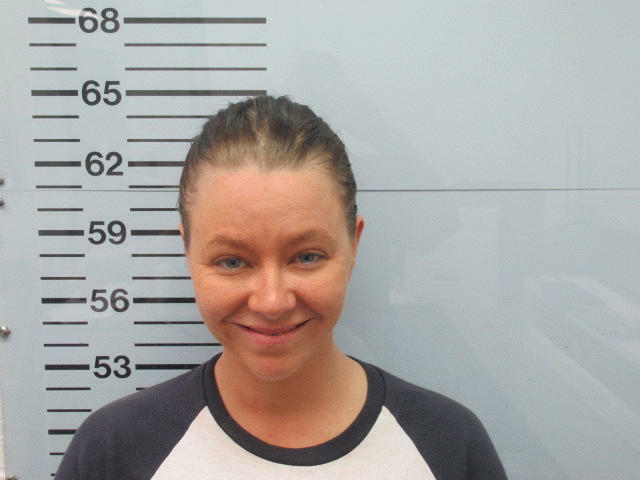 On Tuesday May 31, 2016 Investigators of the Oxford Police Department charged Samantha Albritton (29) of Water Valley, MS with Uttering, Forgery (97-21-59). Albritton and her friend cashed unauthorized checks for over $1,000 that belonged to a business without the consent of the holder of the checking account. Her bond was set at $2,500.